Since its induction as an Ontario University Athletics major award in the 1995 season, a Wilfrid Laurier University athlete has been nominated for the Joy Bellinger Award. Fifth-year Lee Anna Osei of the women’s basketball team was this year’s nominee for the award, given to the student who excels in community service and academics while being a student-athlete. On top of being nominated for the award, Osei was also recognized as a second-team all-star for her consistent play during the season, averaging 6.1 points, 5.5 rebounds and 3.7 assists, while maintaining an A- average studying history. “Since arriving at Laurier after taking a year off of school and basketball, I’ve worked extremely hard to develop my skill set and conditioning over the past couple of seasons,” Osei said. According to Osei, academics played an integral part in her life, as her coaches and parents would always emphasize the importance of education. On top of academics, Osei also contributed her time to Grassroots Canada as a coach developing young prospective athletes. Started by her father figure, Ro Russell, the program is dedicated to developing young athletes in high-risk neighbourhoods, with the aim of securing post-secondary scholarships to further their education. Osei has been coaching, training and mentoring the boys’ teams every summer since she graduated high school in 2009. Osei also volunteered with a program in Toronto called Canada Elite, which focused on the skill development and athlete exposure of high school girls throughout the Greater Toronto Area. According to Osei, she was able to train and coach the girls, as well as act as a contact for college students. 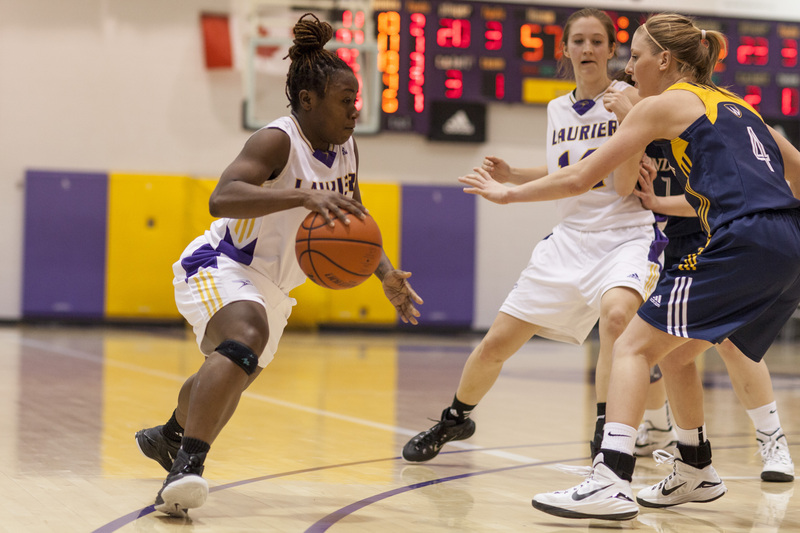 Additionally, Osei is proud to hold a position as one of Laurier’s academic mentors for the Athlete Academic Success Program. Moving forward, Osei is looking to continue on with her passion: coaching. After her undergrad, she is considering staying at Laurier for a little longer to pursue a master’s degree.